If Mr. Woodhouse insists that Harriet wear a shawl in her portrait, Emma ought to wear something to keep her warm when visiting Donwell Abbey. 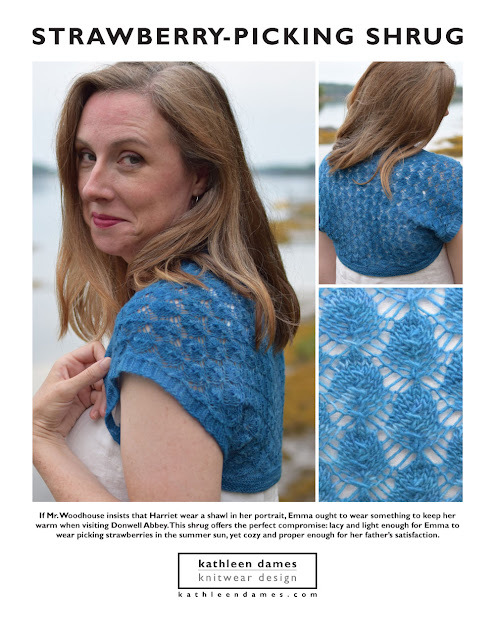 This shrug offers the perfect compromise: lacy and light enough for Emma to wear picking strawberries in the summer sun, yet cozy and proper enough for her father’s satisfaction. This is a perfect project for the more advanced beginner who wishes to dip a needle into the exciting waters of knitted lace, as strawberry lace is worked on both sides of the fabric. 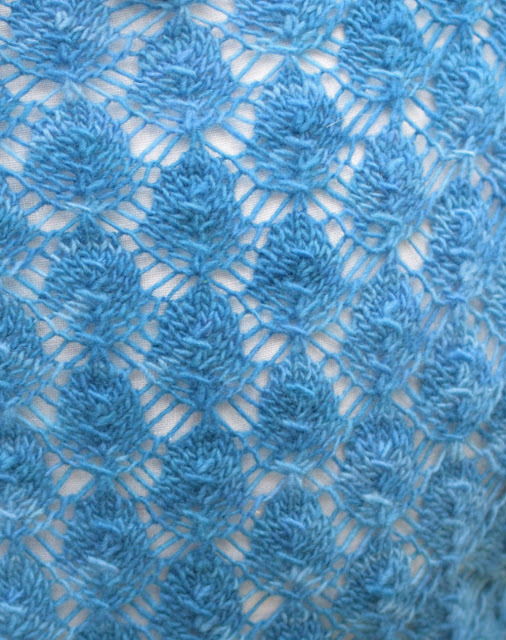 The garter-stitch hems ensure no rolling and a clean edge. Worked from bottom to top, the only finishing necessary is sewing two tiny seams. 12 ¼ (13 ½, 14 ½, 15 ¾, 16 ¾, 18, 19 ¼) inches at center back (as well as around the upper arm) and 19 (20 ¾, 22 ¾, 24 ¾, 26 ¾, 28 ½, 30 ½) inches long from cuff to cuff. Shrug shown measures 22 ¾ inches from cuff to cuff. 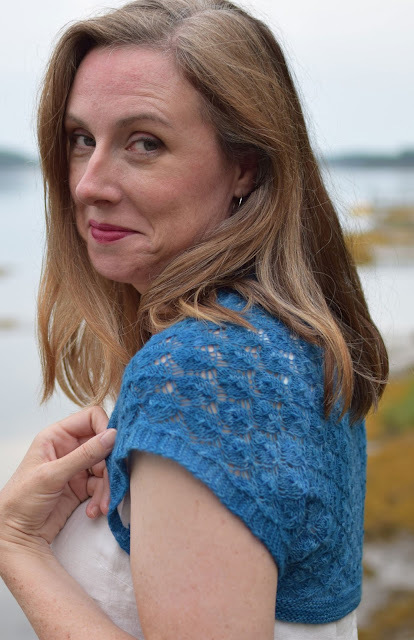 Everything you need to create your own beautiful Strawberry-Picking Shrug is provided in the professionally designed (by me!) pattern. 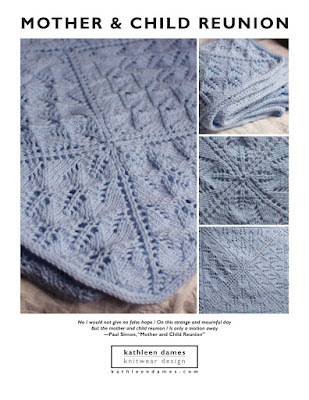 A charted version of the Strawberry Lace stitch pattern is included.